Already this Saturday,10.06., all karting friends and enthusiasts will meet in Madona, to watch, from fans sector 2017 season’s 3rd stages Latvian Championship, Latvian Rotax Challenge Cup, Pro-Kart Cup and LMT Autosport Academy test. It should be noted that the season is just half of the way and battle on track will definitely be more interesting and demanding. But, of course, we do not forget about the competition codex and above all - a fair fight on the track. We remind you that yet until wednesday (07.06.) At. 24:00 actively going for participants race. It is, as always, can be done www.prokart.lv website, in the "Race". All, with the competition-related provisions can be found in the "Terms". We invite you to pay attention to the fact that we have made minor changes to the agenda for the time in prefinals and finals. Based on the fact that these phases tend to occur time lag of the scheduled time. It should be noted that the registration of participants on saturday, the scrutineers and tire issuance, on saturday, will take place from. 8:00 to 11:00, in parallel from 8:00 to 9:00 will take place in the technical control (by class) and issuance of the tire. 9:00 will begin free training rides for all classes. At 8:30 will take place the shareholders' meeting. We remind you that participation in the meeting is mandatory. Participants stand opens on Thursday 08.06.2017 from. 8:00. Participants Park site are granted only competitors. Space is not pre-booked. Organizers allocate them in the order in which players come to shed. And also do not forget that participation in the award ceremony is mandatory. The total planned length of the race on 10.06.2017 is from 8:00 am to 19:00 pm. It is also important that participation in the solemn award ceremony is a must, regardless of places won and prizes! All who want to keep up with the competition by correspondence, it will be possible to watch the live internet Sportacentrs.com - www.prokart.lv or www.sportacentrs.com website. Aside from the direct translation from the competition, and all race results online, as always, will be found here www.results.lv , While, after the race will be published www.prokart.lv page under the "Race". 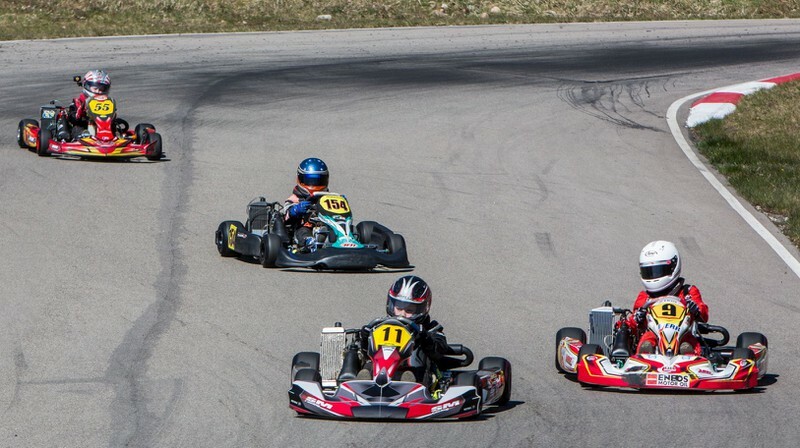 As well as the progress of the competition and the most recent results, invariably it will be possible to follow up on our Facebook page www.facebook.com/Pro-Kart. As well, a reminder and a great reference for all athletes to inform about their outside Latvia upcoming matches and their results - Pro-Kart spokesperson Sabīne Leingarde / e-mail: sabine.leingarde@gmail.com / 28355507 or new LAF press officers – Kristīne Pavlovska / e-mail: prese@laf.lv / 28344187. We remind you that the results of background, a photo and video of the 1st stage of the season 20.05.2017 www.prokart.lv possible to find the page in the "Race / 2017"
Kapec steinertu nenolika beigas vai vispar nenonema par starta proceduras parkspumiem???? Katru gonku ta!! !